Many companies spend a lot of money to send key employees to trade shows, purchase booth space, print materials to hand out to attendees, and pay for lodging and airfare. 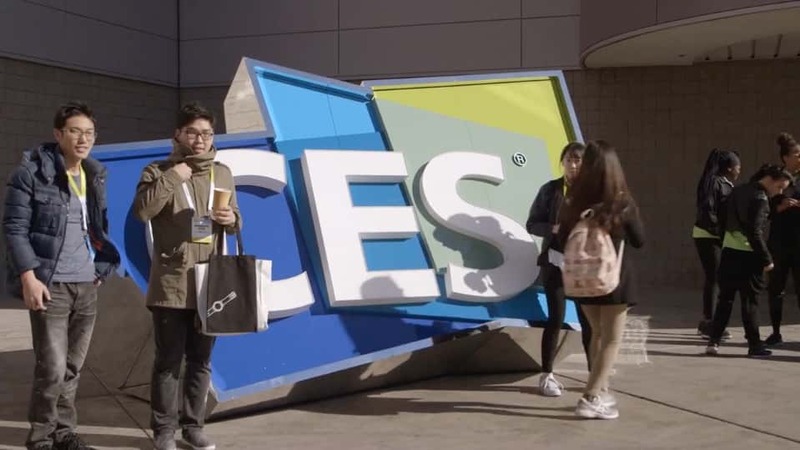 Though the hope is for trade shows to provide meaningful leads and industry connections that pay dividends down the road, companies that neglect to consider producing a video of their presence are leaving money on the table. While the trade show may only last a few days, a week at most, a video can live on the company Website, YouTube channel, and social media outlets forever. It can be sent to prospects via e-mail and used to generate leads far into the future for a fraction of the cost of the trade show itself. Event video production is an often overlooked but highly valuable part of a successful corporate video marketing campaign. Planning a successful trade show appearance has a lot of logistical elements involved and requires quite a bit of time investment from a company, besides the cost of attendance. The best part about trade show videos is the limited amount of planning required. Because trade shows, like other events, have a fixed location and set schedule of events, the videographer is more or less like a fly on the wall, a documentary-style filmmaker who captures everything he or she can in the time allotted. Your main pre-production planning concern is to make sure to secure an entry pass for the videographer, put them on any necessary lists so they can be present, and come up with a basic list of events / elements you want filmed. Ideally, a videographer at a trade show will capture some general shots of the building where the event occurs, crowds entering and gathering, and other relevant B-roll shots to give an idea of the size and scope of the event. If any of your employees are giving keynote speeches, make sure the videographer knows so they can attend and record. On a technical level, many videographers are able to plug into the PA system and record audio cleanly, though if you’re less concerned about huge segments of the keynote appearing in the video, you may not need such a solution. Just showing your staff in a position of authority with some text on screen demonstrates your leadership in the field. Another tip for trade show video production is to make sure each key employee attending is available for a few soundbites or a brief interview during slow times. You can prepare a list of questions for the videographer if necessary, such as, “Why do you think this trade show is important for the company?” or “What exciting announcements have you made during the trade show?” Consider questions that will give you the best responses for your video with an eye towards future marketing initiatives. Maybe you are launching a new technology product that is at the forefront of your industry, in which case you want to make sure to include a few soundbites about how excited you are to showcase the product and its features. To maximize the value you obtain from an event video, especially at a large event like a trade show, consider producing several videos out of the content recorded if possible. For a small company with a limited presence and no keynote speakers, one video may be plenty sufficient and you may only want to pay a corporate video production company for a half-day shoot. If you have a larger company and larger presence, though, you could make a general trade show overview video demonstrating your strong presence at the event plus individual, shorter videos focused on more specific topics. For instance, you may have several product launches upcoming and the trade show provides an opportunity to showcase them again. Another tip is to take advantage of having many industry experts in one place. Have you worked with other companies at the trade show previously? Are your best clients also at the trade show? Use the opportunity to pin them down for just a couple minutes to talk about your company and how you’ve helped them. Customer testimonials are powerful marketing tools, but video testimonials seem even more legitimate because your potential customers are watching another happy, satisfied customer rave about you. Even if you have no customers at the trade show, almost every similar event has industry commentators who may be familiar with your business. See if you can arrange short interviews with people who would provide commentary about your company, products, or services. You could even film people interacting with your booth, then ask their permission to show them in your finished video and ask what they think about your company and its offerings. Obtaining a bunch of valuable video commentary in one place gives you a library of testimonials to repurpose in later marketing materials.